Preheat your oven to 200 degrees Fahrenheit. You could use a microwave, but the chips get much crispier from being in a real oven. Arrange the chips in an oven-safe dish. 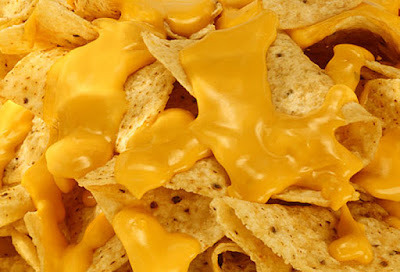 Spread the chips out–the more you spread them out, the more room there’ll be for cheese and the less “disappointing” nachos there will be with next to nothing on them.